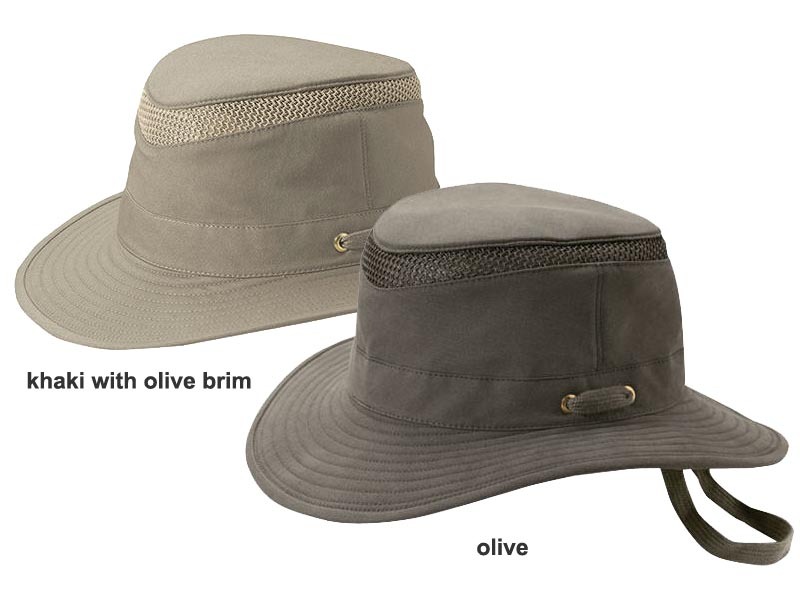 The T5MO Tilley Hat, designed with a medium brim, is made of a soft, sueded certified organic cotton with ¾" polyester mesh. The mesh helps to both ventilate warm air out and allow cooler air to flow in while the sturdy cotton fabric is rugged yet exceptionally lightweight. Made from 98% organic cotton and 2% Spandex. Mesh made from 100% polyester. 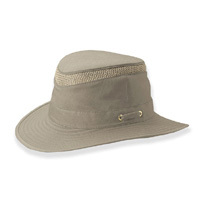 The fabrics of all Tilley Hats have been certified to block 98 percent of harmful UVA/UVB radiation and deliver an ultraviolet factor (UPF) of 50+, the maximum rating given. Some rays COULD enter through the ¾" mesh. Each Tilley hat is hand-sewn using very strong thread; all seams are lock-stitched so they won't unravel. The brass is from Britain and is the best there is. All Hats are made with such care and dedication that one is as good as another.